Eighty-four years ago The Navigators started the same way, from just ONE. Dawson Trotman, was a lumberyard worker who came to be known as the “father of modern-day disciple making.” He began by walking alongside Les Spencer, passing on practices to help him in his own spiritual journey. One-to-one, life-to-life—the first generation. 1. Be the ONE. Like Dawson, Jesus, and many others start by praying for one person to invest in. Then invite that person to a discipling relationship. Perhaps the least common way to start, this path requires a lot of initiative and perseverance. 2. Partner with ONE other. When the Wright brothers wanted to develop powered flight, they worked together to figure out how to do it. Through the process of trial and error, combined with grit, they accomplished something even the most highly educated and trained had not been able to do. There is power in partnership and commitment to figure something out together. Getting started with another is very doable if you’re connected with someone of like heart. 3. Learn from someONE with experience. The most typical path to becoming a disciple maker is to learn from an individual who makes disciple makers. I have observed that this is not only the most typical path, it’s also the path that’s most likely to lead to reproducing generations of disciples. Which path is God leading you toward? 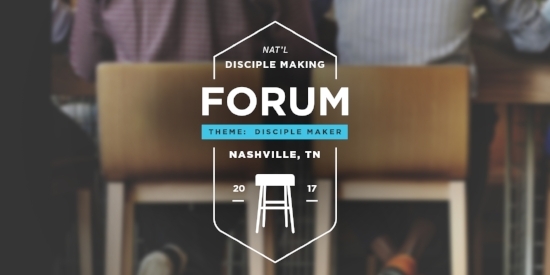 Regardless of the path, consider taking part in this year’s National Disciplemaking Forum in Nashville, Tennessee. On November 9-10, more than a thousand like-hearted individuals will come together to support, learn, and grow together in disciple making. Whether you are being called to be ONE, partner with ONE other, or seek to learn from someONE with experience, this event will help you move decisively in that direction. Navigator Church Ministries will lead one of the tracks, and we invite you to join us. When you sign up please use the code “navigators” for 20% off your registration fee, then introduce yourself to us at the Forum so that we can help fan the flame of disciple making in your life. Whether or not you can come to the forum, start now. Allow God to work in and through you to build a chain of disciples that will reach into eternity! Interested in the Workshops We’ll Be Leading at the Forum? Cultures of Disciple Making in the Local Church – What are the marks of a disciple making culture, and how can you develop them in your own church? Roy & Margaret Fitzwater will lead this workshop that explores these questions by looking at proven principles and a roadmap for developing such a culture. Disciple Making in a Culture of Consumerism – A deep understanding of how growing and living in a culture of consumerism impacts us and those we disciple is a vital step to developing disciples who don’t conform to the world. Join Justin Gravitt to learn how the “water we swim in” can affect our disciple making methods. Assessing Disciple Making Cultures & Charting A Path Forward – We measure what matters. So how do we measure spiritual growth? Cally Parkinson, noted author and team leader of REVEAL – Spiritual Life Survey, will share key insights from assessing over 2500 churches who were working to develop a disciple making culture. 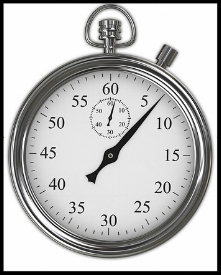 The Silver Bullet – Did you know there’s one practice that drives spiritual growth more than any other? Regardless of age, race, gender, or spiritual maturity there’s a silver bullet to help you and those you lead grow. Don’t miss your chance to join Cedric Brown and learn this truly transformational practice. The Ways of the Alongsider – Disciple makers intentionally develop heart, vision, and skill to effectively disciple everyday people. Join noted author Bill Mowry for a look at how to walk alongside others in life-to-life relationships and how to develop others to do the same.